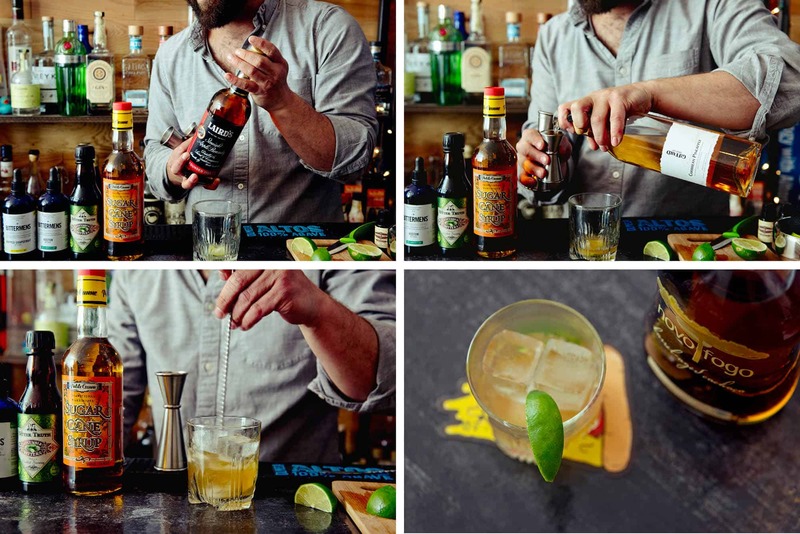 An afternoon at the home bar—an actual, concrete-topped bar—of the Coup’s Max Green and his three booze-industry buddies. …Later, when asked to fix a drink, Green will use cachaça—the Brazilian liquor most familiar from caipirinhas—in a variation on Ti Punch. 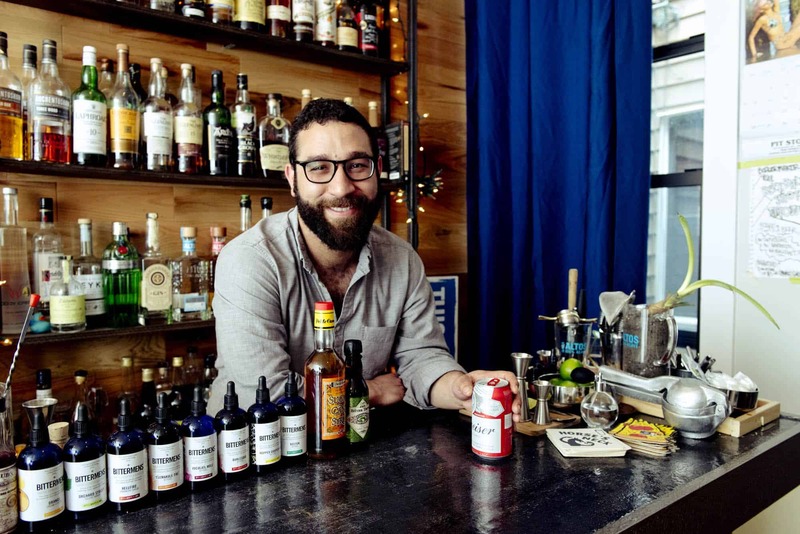 His enthusiasm for the earthiness of Novo Fogo barrel-aged cachaça is quite sincere, but his friendship with one of its bubbliest brand ambassadors also influenced the decision…. “Mostly we drink the cocktails that people put in bottles,” say Green. Or cans. 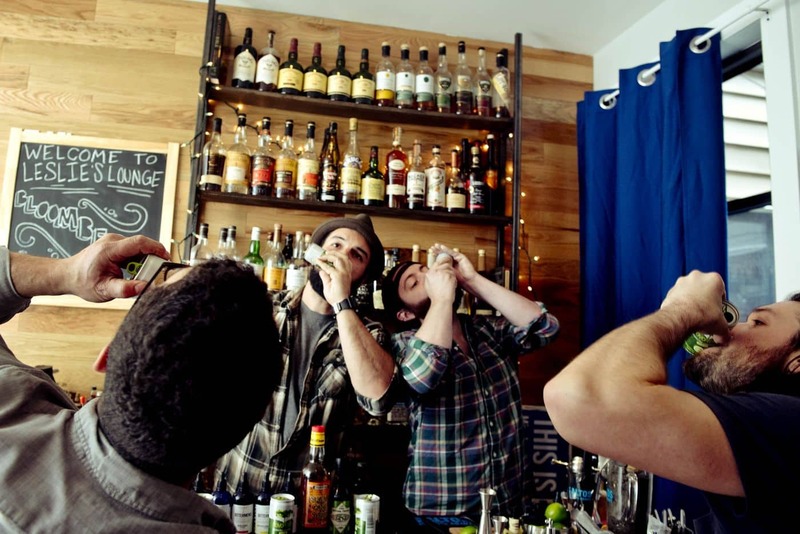 Here the roommates demonstrate their home-drinking technique by shotgunning carbonated caipirinhas. …What do these guys drink on the regular? Despite this self-imposed limitation, the group has grand plans. There is conversation about installing a sink to make it a wet bar and a firm plan to rejigger the projector-screen situation for the sake of elevating Mario Kart tournaments. “So I was like, Ti Punch,” he continues. “It starts in a glass, it’s essentially an Old Fashioned, so you don’t need that much crazy stuff.” This is a riff on that. Muddle lime and sugar in the bottom of a rocks glass, add other ingredients to glass, add ice, and stir. Garnish with wedge of lime.